Hungry? A new neighborhood Mexican spot has you covered. Called Julio's Taqueria, the new addition is located at 635 W. Shaw Ave., Suite 103. 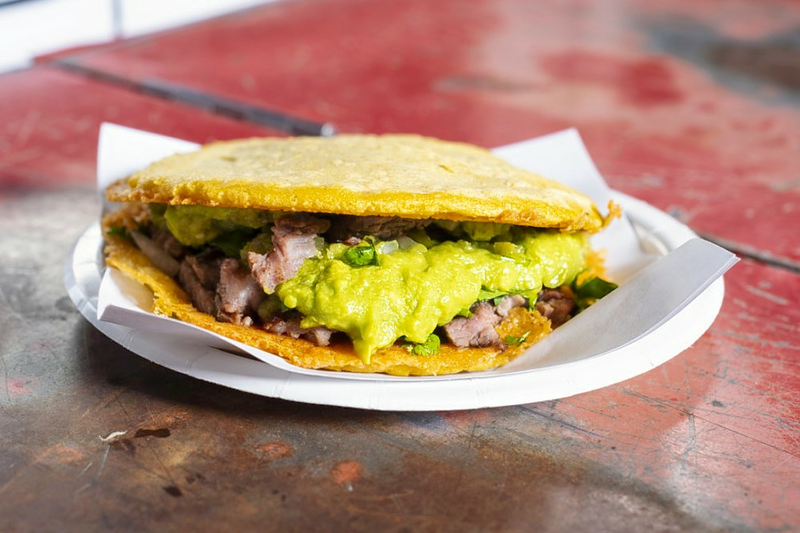 The taqueria's playful specialty, the Vampiros, are served with their fillings sandwiched between two deep fried tortillas in the shape of bats. Julio's also offers specialty tacos, like the meat-heavy El Chingon, with pork al pastor, beef rib, shaved beef tripe, anaheim chiles, and cheese. Vegetarians have the option of nopales (cactus strips) in place of meat in the fillings for tacos, quesadillas, and more, while those avoiding tortillas can ask for "lite" tacos, with all the fixings and fillings served in a shell of lettuce. With a four-star rating out of 21 reviews on Yelp so far, Julio's Taqueria seems to be a welcome addition to the neighborhood. Gabriel A., who was among the first Yelpers to review the new spot on September 2, wrote, "Great tacos! Love the Karmelo and the Vampiro! Very authentic. Very nice and clean." "These tripas tacos were so perfect and yummy! We also tried the carne asada torta and mula and oh my goodness, it was the bee's knees," added Yelper Jessica P.
Intrigued? Stop in to try it for yourself. Julio's Taqueria is open from 11 a.m.-9 p.m. daily.